Here we are, at the final week of car announcements for Forza Horizon 2. 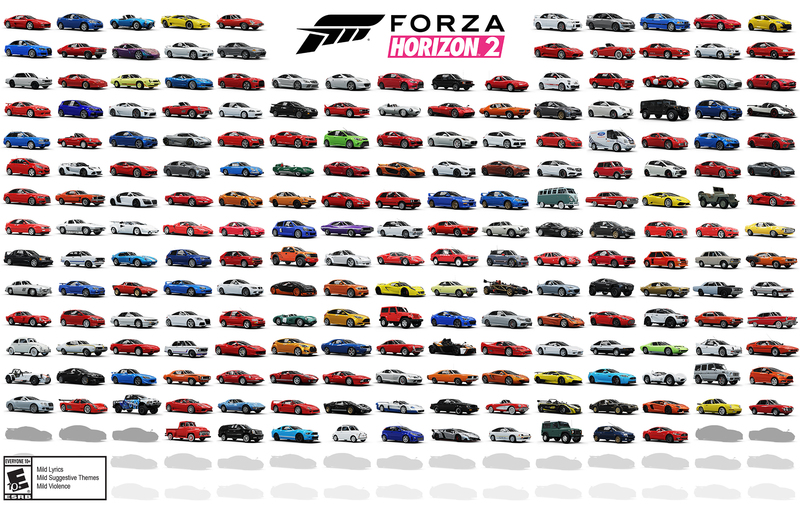 This final reveal brings us to a total of 210 cars that have been built specifically for the next generation and Forza Horizon 2. All of the cars announced this week exude their own sense of style and charisma. The Land Rover Defender 90 is as rugged it gets. The form of the 2015 Mustang GT was designed for global appeal. The Lamborghini Veneno practically redefines extreme car design. There is not much longer to wait until all these rides will be at your fingertips to leave your mark on the roads and countryside of Forza Horizon 2. Let’s dive in to this week’s list.